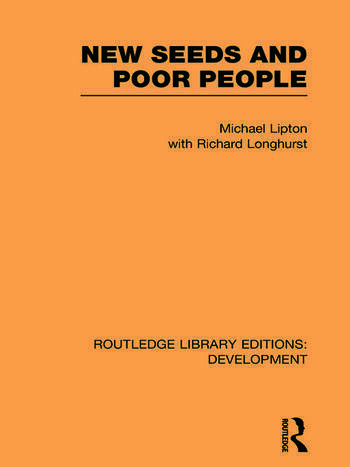 First published in 1989, this book deals with the impact of cereal production upon the Third World, specifically ‘Modern Varieties’ (MVs). Using evidence from plant breeding, economics and nutrition science, the authors seek to pinpoint what has been achieved, what has gone wrong and what needs to be done in future. Although the technical innovations of MVs mean more employment, cheaper food and less risk for small farmers, the reduction in crop diversity increases the risk of danger from pests and though MVs enlarge cereal stocks, many are too poor to afford them. The book concludes that technical breakthroughs alone won’t solve deep-rooted social problems and that only new policies and research priorities will increase the choices, assets and power of the rural poor.